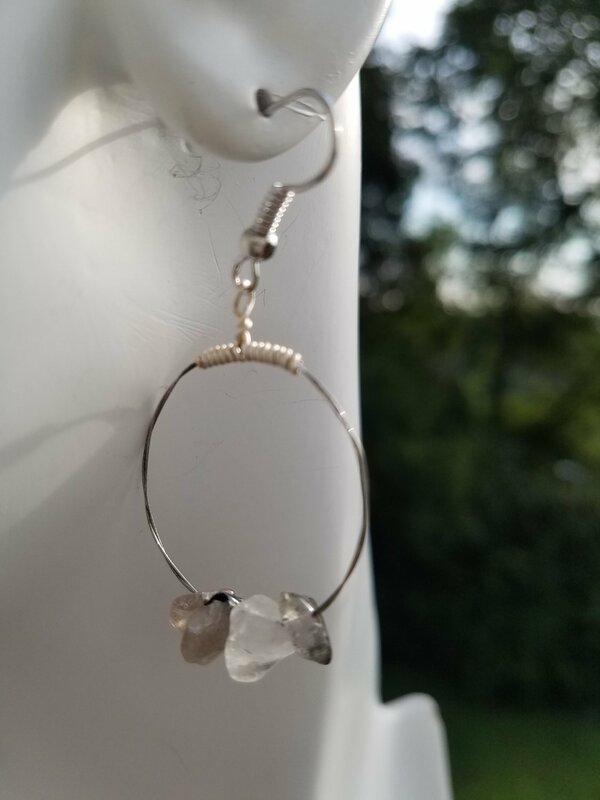 Rutile Hoop Earring 1" dia. Rutile Hoop Earring design created from one of Trevor Finlay guitar strings. RUTILE~ Yin and Yang.Pleasure and pain.Gutter balls and strikes.The Rutilated Quartz crystal encourages us to go deep within our own psyche to gain clarity on the duality of the universe.In the bigger picture, an emotional roller coaster is a sucker punch to your whimsical inner child but this powerful variation of Quartz helps keep it all in perspective.A stone graced by the gold locks of angels, Rutilated Quartz is an effective antidepressant because it heals emotional wounds, clearing the way to a spiritual awakening.